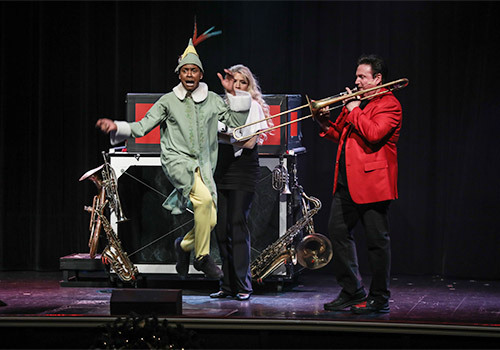 Featuring a brand-new variety show at the Hamner Variety Theater in Branson, Missouri, Hamners’ Unbelievable Variety Show offers an evening of entertainment the whole family can enjoy. 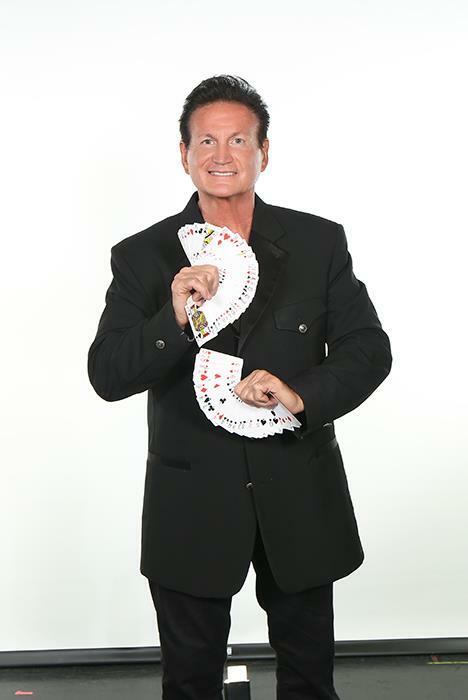 Guests can experience amazing feats of magic, edge-of-your-seat acrobatics, impressive ventriloquism and more by the talented master illusionists Dave and Denise Hamner and other respected local performers. 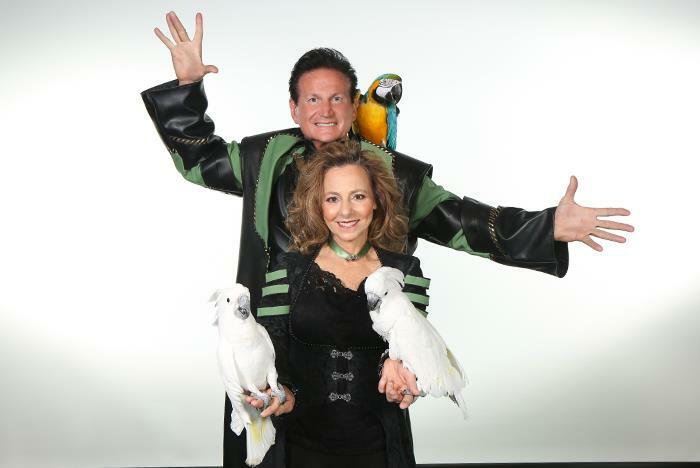 Features master illusionists Dave and Denise Hamner. Amazing acrobatic and dance routines. Meet & Greet the Haygoods after the show. Hamners’ Unbelievable Variety Show is not just your standard variety show, it’s an Unbelievable variety! 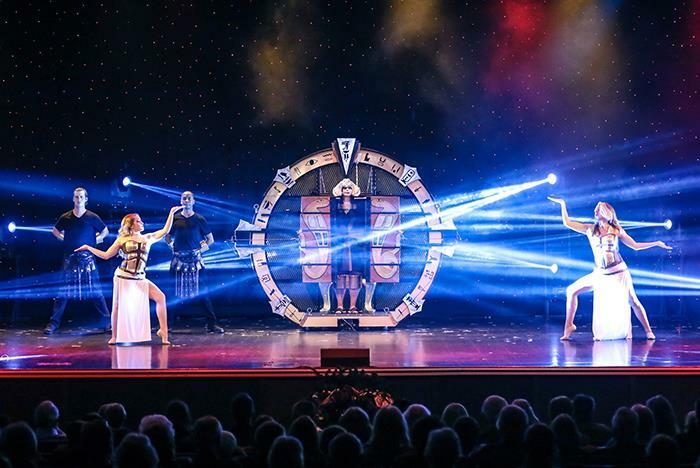 Featuring amazing feats of magic, edge-of-your-seat acrobatics, and exceptional ventriloquism, the Hamners’ Unbelievable Variety Show brings you unmatched, quality entertainment. Master illusionists Dave & Denise Hamner perform mind-bending illusions as Denise finds herself suspended an astonishing 15 feet above a table of deadly spikes! 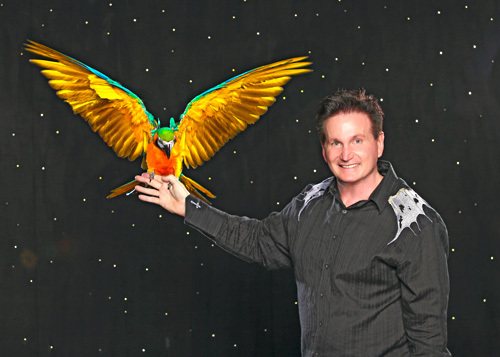 Between the team’s feats of illusion and amazing parrots, you’ll watch in amazement as they are joined by well-respected Branson performers with a wide range of talents. Audiences will be enchanted by singing impressionist, Jeff Brandt, and vocalist, Tamra Tinoco. 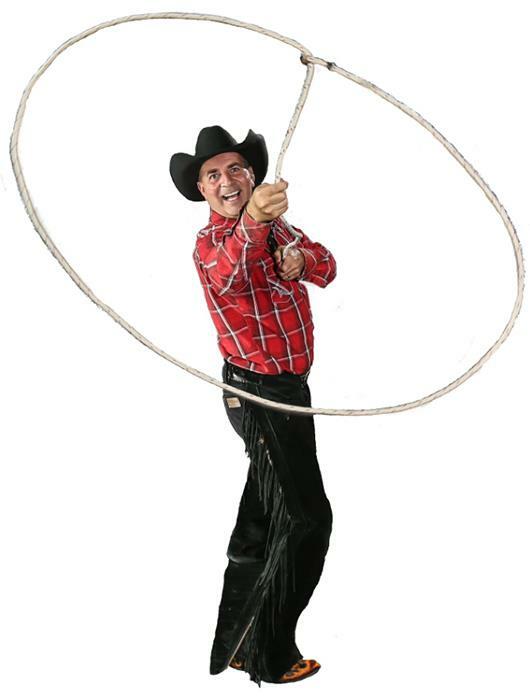 Aerialist Mariya Serykh will dazzle you with beautiful aerials Anthony Soumiatin will amaze you on the Cyr Wheel, and Johnny Lonestar with his trick roping. 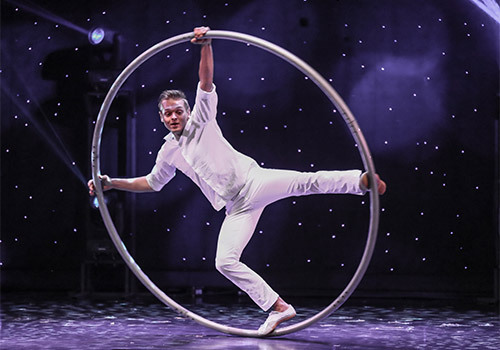 From the opening musical/magical “Grand Illusion” to our amazing patriotic finale, you will enjoy being mystified by magic, serenaded by song, and swept away by acrobatics and dramatic dance moves. Only Hamners’ Unbelievable Variety can pack so much entertainment into one Unbelievable show. Show times are 8:00 pm Tues, Wed, Thurs, Sat and 3:00 pm on Sunday. 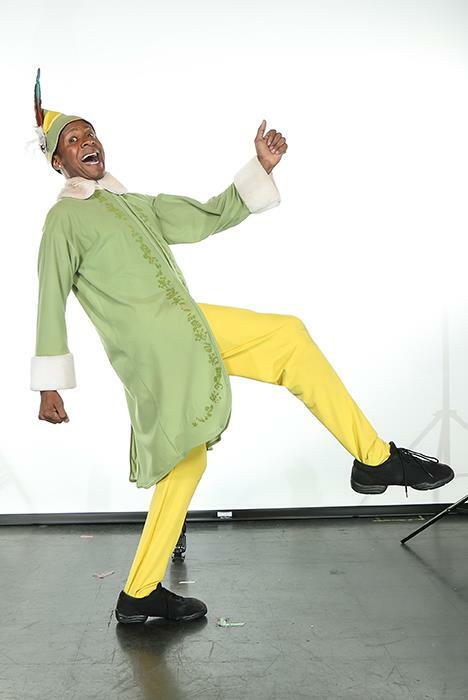 Don’t miss your chance to see the show at Hamners’ Variety Theater located at 3090 Shepherd of the Hills Expy. Can I use my camera during the performance? No. Flash photography and/or video are strictly prohibited during the performance for the safety of all performers and guests. Will we have the chance to meet any of the performers? Yes. A meet and greet opportunity is available after the show. 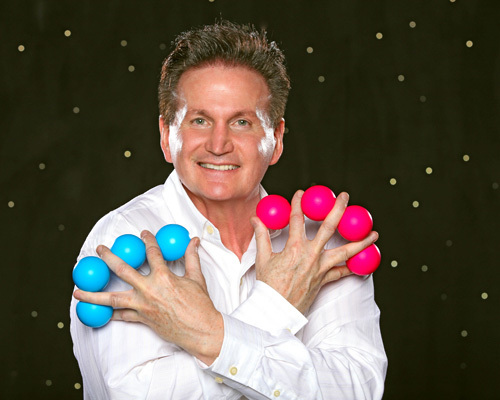 “Hamners’ Unbelievable Variety Show” is performed every Tuesday, Wednesday, Thursday, and Saturday at 8 PM and 3 PM on Sunday. 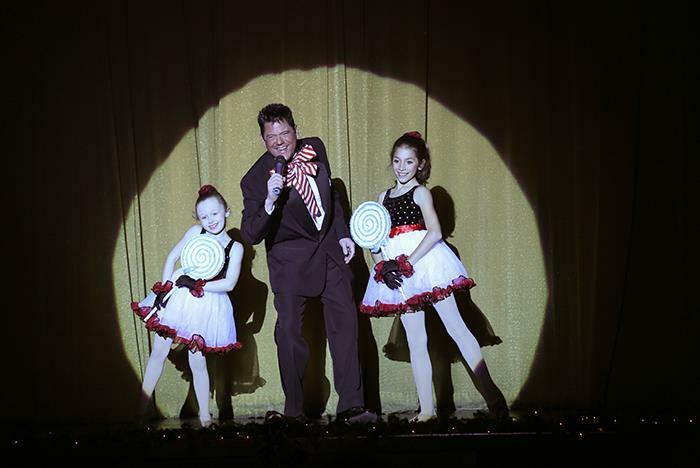 Hamners’ Variety Theater is located at 3090 Shepherd of the Hills Expy, Branson, MO 65616.